Choose a friend, a time and go to the cinema, but don’t pick the film until you get there. Unexpected events often make you happy, so make the space to immerse yourself in screen magic. This is a day for adventure, to remember that some of your happiest experiences are unexpected and accidental. If you don’t make a space for that, what could happen which you aren’t expecting? 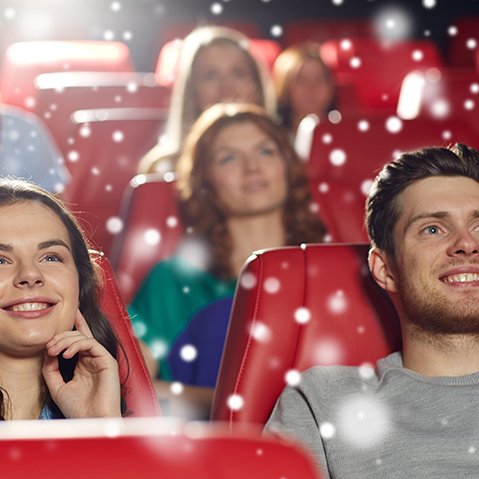 So, make a date with a friend or family member for the cinema – but don’t choose a film. Pick a time and a cinema and just go, choosing whatever film takes your fancy when you get there. Before you go, pick up the negative thoughts – I haven't got time for pleasure, or what if there is nothing on that I'll enjoy? But don’t act on them – they undermine your enthusiasm and discourage you from action. Once you're inside the cinema, you can forget about all the negatives and be transported away by the film. And if it’s terrible? Well, that’s a story you and your friend can laugh about later, over coffee and ice-cream, or on the way home.